PASS IN TWO WEEKS OF STUDYING. Study Less. Study Faster. Pass GUARANTEED. This course was developed by industry experts that have passed each CPCU® exam, our experts have summarized all of the study material into one course that cuts out the fluff and non-critical information to help you study and pass your exams in a more efficient, less timely manner. This course breaks down the topics into simple terms designed to make studying as easy as possible. On average, students pass in just two weeks of studying. This course will cover every topic and minor details that may appear on your CPCU® exam. COMPLETE ONLINE COURSE - covers everything that will be on the CPCU® 520 exam. Designed for faster, easier studying. Completely online and downloadable as a PDF for those that would rather print a physical copy of the course. FILL IN THE BLANK STUDY GUIDE - designed to ensure you take notes on the most important topics. 300+ PRACTICE QUESTIONS - quiz questions for each topic of the CPCU® 520 exam to ensure you grasp the main concepts. QUIZ EXPLANATION – detailed explanation about the correct answer for every quiz question. 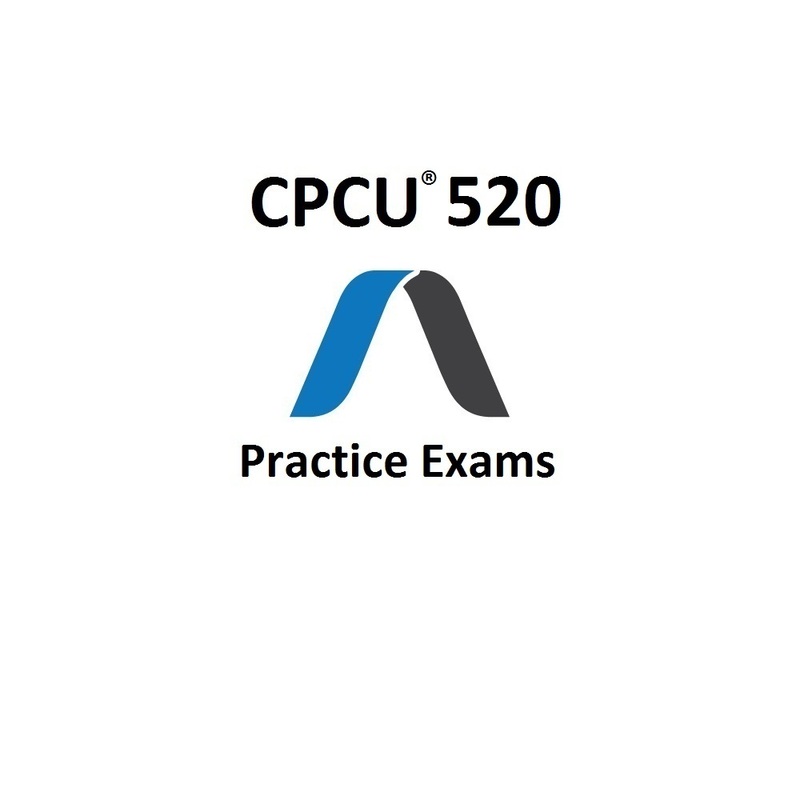 2 COMPLETE PRACTICE EXAMS - 75 questions each, formatted exactly like the actual CPCU® 520 exam (with the same number of exam questions) to give you a "real exam" feel. CPCU® INSIGHT - course includes our insight detailing what to expect from each chapter on the CPCU® 520 exam, detailed answer explanation of each quiz question, and our personal email support to provide advice on any question or exam topic. MOBILE APP - download the AssociatePI mobile App and study on the go! Perfect for your commute to work. 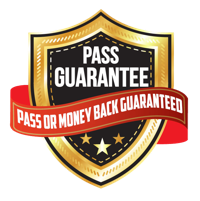 MONEY BACK GUARANTEE - pass with our Comprehensive Course or your full money back, guaranteed. 99% SUCCESS RATE - we have helped thousands of students pass their CPCU® exams. In that time, only a few students have failed. Real practice exam questions formatted exactly like the actual exam. 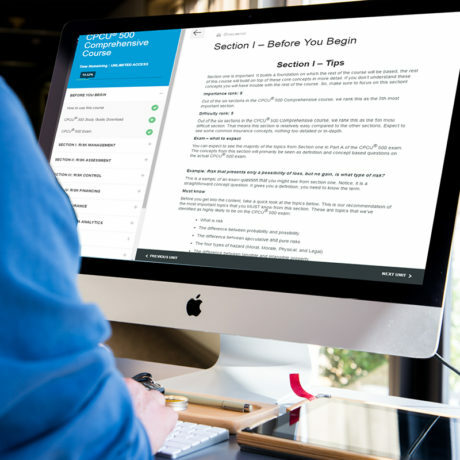 The practice exam course consists of over 300 practice questions and two complete practice exams formatted exactly like the actual CPCU® exam. This course is intended to mimic the question format of the CPCU® exam as closely as possible to give you a “real exam” feel. 2 COMPLETE PRACTICE EXAMS - 75 questions each, formatted exactly like the actual CPCU® 520 exam (with the same number of exam questions) to give you a "real exam feel". UNIQUE QUESTIONS - all questions are unique to the AssociatePI practice exams, designed by CPCU® designees that have passed the actual exam. REAL EXAM FEEL - quiz questions designed to mimic the actual CPCU® 520 exam to give you a "real exam feel" and fully prepare you for the type of questions you will see. 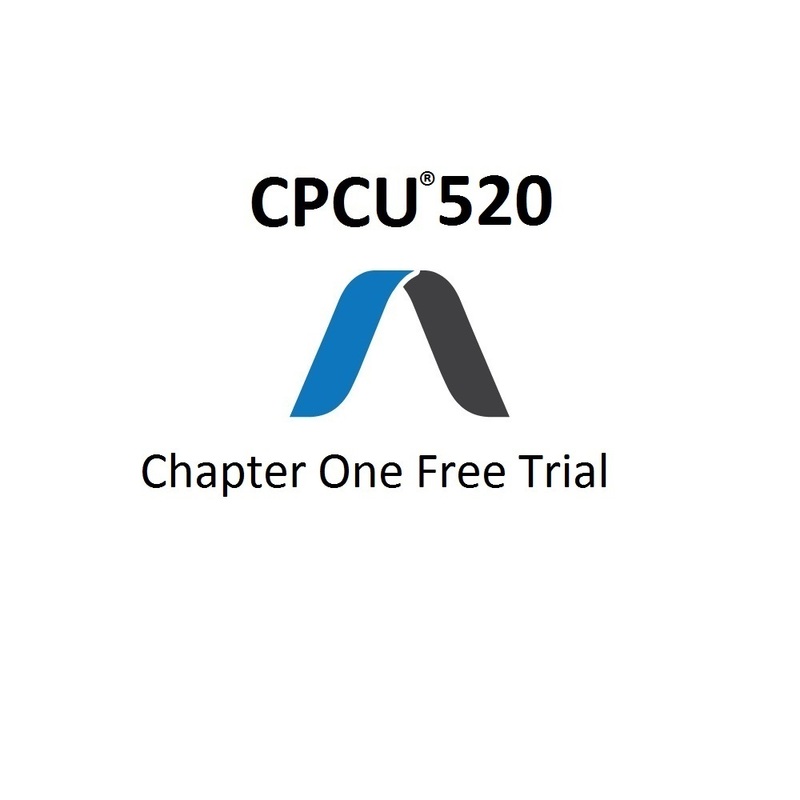 Free access to chapter one of the CPCU® 520 Comprehensive Course. 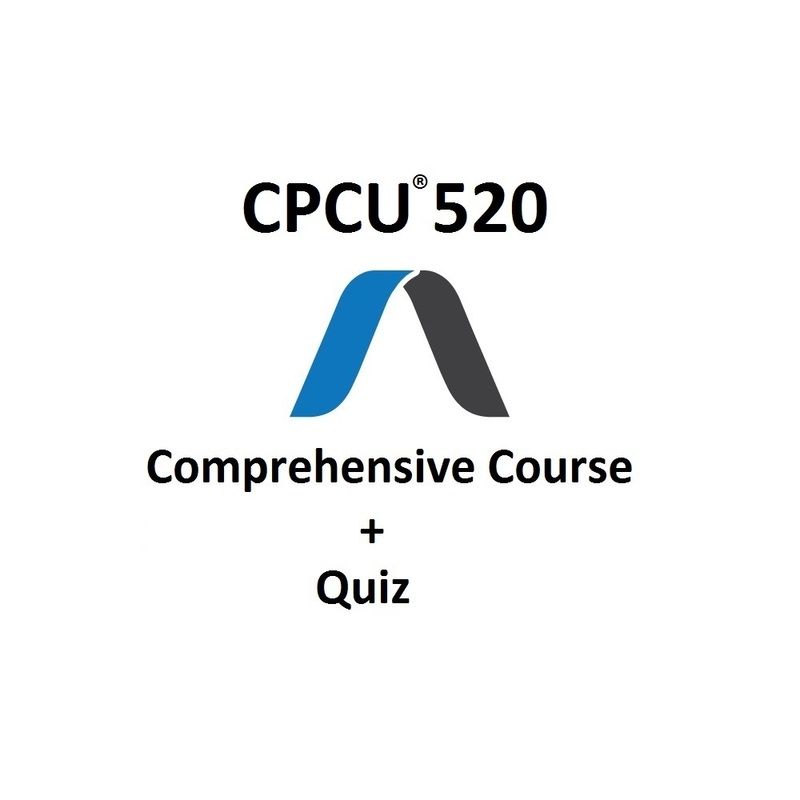 This free trial course will cover the first section of the CPCU® 520 exam. This chapter is a snip-it from our CPCU® 520 Comprehensive Course, it will only cover chapter one. This course will not cover all of the material needed to pass the CPCU® 520 Exam. Chapter one is arguably the most important chapter of each CPCU® exam. This course is intended to help you master chapter one and provide users with insight into our online course interface. COMPLETE CHAPTER ONE ONLINE COURSE - covers everything from chapter one of the CPCU® 520 exam. Designed for faster, easier studying. Completely online and downloadable as a PDF for those that would rather print a physical copy of the course. CHAPTER ONE FILL IN THE BLANK STUDY GUIDE - designed to ensure you take notes on the most important topics. CHAPTER ONE PRACTICE QUESTIONS - quiz questions for each topic of chapter one to ensure you grasp the main concepts. FREE COURSE - this course is completely free. You will receive full access to chapter one of the CPCU® 520 Comprehensive Online Course. AssociatePI has the highest quality insurance education courses created by actual insurance professionals who have completed the CPCU® designation. We are so confident that you will pass your exam that we offer a money back guarantee. Pass your exam with the AssociatePI Comprehensive Course or your full money back, guaranteed. CPCU® and API™ are trademarks of the American Institute for Chartered Property Casualty Underwriters (“The Institutes”). AssociatePI LLC is not affiliated with, associated with, endorsed by or otherwise supported or recognized by The Institutes in any way. AssociatePI LLC is not authorized by The Institutes to offer courses, practice examinations, or any other resources related to the Institutes' designations or other programs.